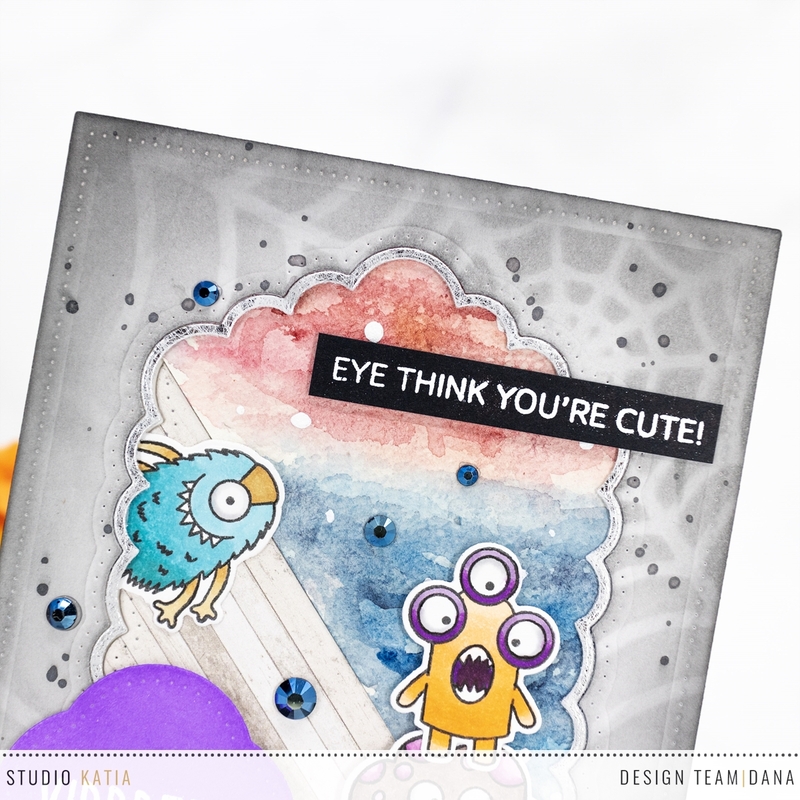 I'm sharing a fun card I made for Studio Katia September 2018 Release Week Day 1. Woo-hoo! Today, DT showcases Halloween themed cards and here is what I came up with. To start, I die cut cover panel with Scallop Oblong Die Set and Dotted Patterns : Darling Ribbon & Frames from bristol paper. I stenciled it with Spider Web Creative Stencil using distress inks. I then splattered same inks with water here and there and let them dried. I took a watercolor paper and watercolored it and completed background with patterned paper as shown. I stamped cute monsters from Monster Bash Stamp Set and cut them with Coordinating Die Set. I colored them in with Copic markers. For each sentiments from same stamp set, I white heat embossed them. I used die cuts from Dotted Pattern : Set 3 for *yipppeee* after I sponged it with distress oxide ink. To finish off, I embellished with Midnight Blue Crystals. By the way, have you noticed from where I inspired? 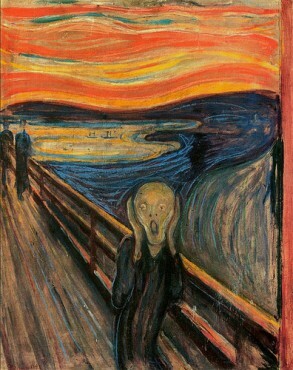 Yes, E. Munch's The Scream! :) I hope you enjoyed this card and thank you for joining me today! 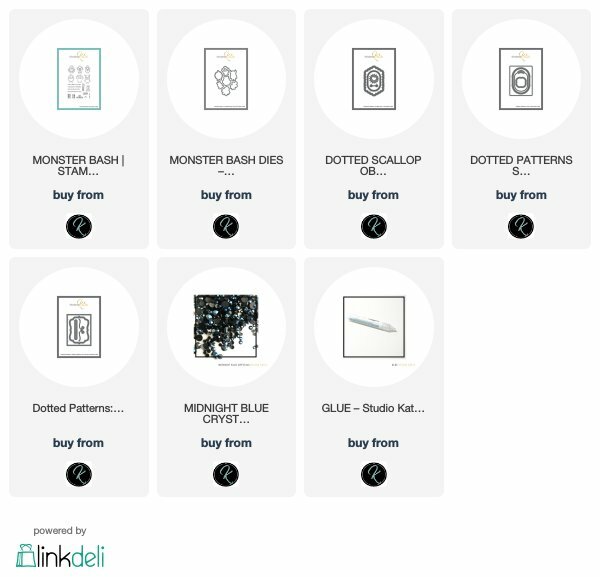 Do not miss your all chances to win in awesome giveaways everyday in this week on the Studio Katia blog! Click HERE. Ha the scream card! A great idea and when I first looked at it, it looked like they were surfing to me! Ha ha. Thanks for the wonderful card post! Wow this is such a fun and very unique card! Love the cute monsters! Darling card! Love the monster mash stamp set!! It is my favorite and I love your card. So creative.